If you've ever heard a rap song, then you know all about the importance of money. "Mo money mo problems," "cash rules everything around me" and "I make money moves" are some popular rap lyrics centered around "securing a bag," as the rappers like to call it, but we like to call it "chasing paper." Actually, the rappers call money-making "chasing paper" too. These gangsta-poets have so many gangsta-names for raking in the dough—geez, they're cool guys! We bet you're a pretty cool guy too (or gal) which is why you're looking at these fresh-to-death dollar sign rings. They're fly, son! Sorry guys—we'll dial back the gangsterness, or at least, we'll try. These rings are just too cool! You don't have to make a trip to the jeweler's to get these pimptastic rings! 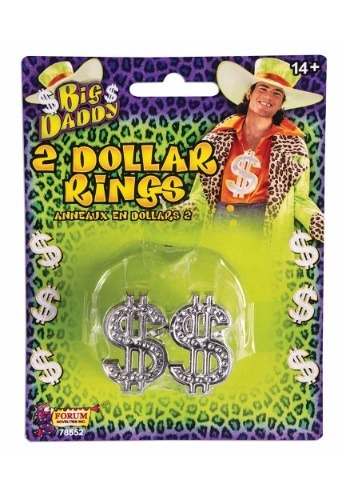 Both size adjustable and incredibly gaudy, each dollar sign is decorated with gorgeous rhinestones. 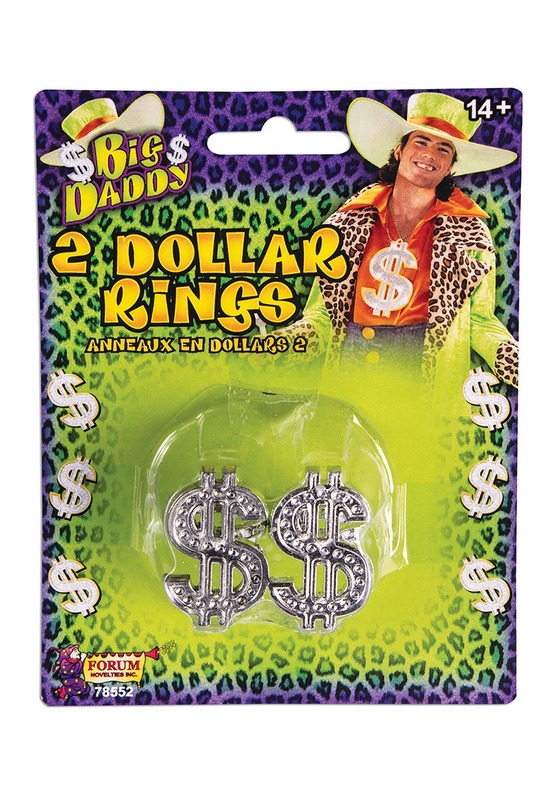 Now you have these classy rings, completing the "boujee" costume will take your look to the next level. Pair these accessories with a dollar sign chain necklace, cane and a pair of platform shoes. Learn how to walk with a limp and you'll be golden!